Perfect for a special tea party or espresso. 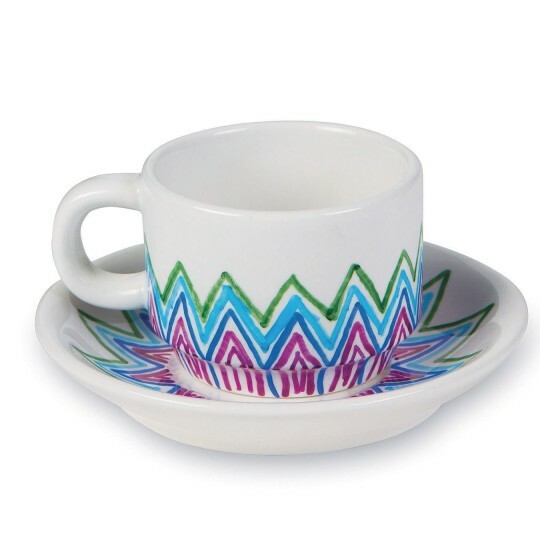 Perfect for a special tea party or for espresso! This small cup and saucer set is easy to decorate with permanent markers or food safe ceramic paints. 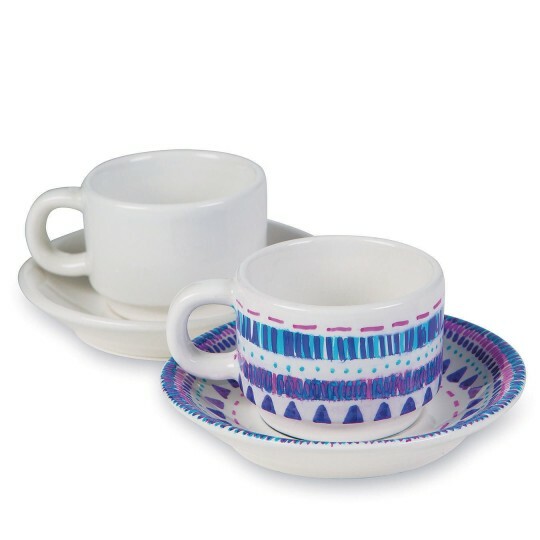 Cup and Saucer are food safe as well as microwave and dishwasher safe. Pack of 12 cup and saucer sets. Cup measures 2”H x 2-1/2” in diameter. Saucer measures 4-1/2” diameter.